Five Reasons Why You Should Be Taking a Multivitamin! Many if not most doctors will claim that you get all the vitamins you need from your daily diet. They say this because they have almost no nutritional training at all. It's not good medical practice, nor is it good science, but you will more than likely get this advice from most medical professionals. Needless to say the vitamin-mineral formula you take should have certain things in it. A good high end formula will run you about $30 to $40 a month. Don't shortchange yourself by buying some cheap supplement you see at Walmart or your local CVS. There is no substitute for quality, so spend some extra money on the most worthwhile thing you CAN spend it on...YOUR HEALTH! With that said...there are many reasons for using a good multivitamin, but here I will list just five of the most important reasons. People mostly eat what they like. The problem with this is that our modern processed diet is engineered to make people crave these foods that are lacking in good nutrition. Most people give no thought at all as to how beneficial the foods they eat actually are. I am not saying that you can eat diet of junk food and make up for it by taking vitamins. Eat as clean and nutritious a diet as your lifestyle and time will allow, but, using a high grade multivitamin will help fill in the gaps left from your daily diet. 2) Deficiencies caused by lifestyle and environment. The environment we live in and our busy stressful lifestyles can actually cause us to burn through certain nutrients faster than we otherwise would. Most of us are deficient in nutrients like vitamin-d (which is actually a hormone), magnesium, and choline. Using a good multivitamin can help address these deficiencies, even though good eating and stress relief is still essential for health. 3) Food absorption is aided by certain nutrients. Most people aren't aware that certain vitamins and minerals are needed by your body in order to absorb your food properly. B vitamins in particular are needed in order for your body to take up nutrients properly and convert them to energy. Since the b-vitamins (unlike some others) are water soluble and get eliminated from your system in your urine and stool, you need to supply them to your body every day. This makes a very strong argument for supplementing on a daily basis. grown in our depleted soil does not contain them. 5) To make up for age related malnutrition. Most people are not aware (but would not be surprised to learn) that older people don't absorb nutrients as efficiently as younger people do. Thus they can still have nutritional deficiencies even if they eat correctly. Some high end multivitamin formulas have digestive enzymes in them to help people absorb the nutrients in their food, which is why vitamin supplements should be taken with meals. 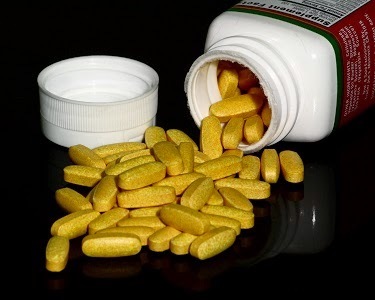 Recent evidence indicates that you should stay away from multivitamin formulas with added iron, because this can increase risk of heart disease. Iron is extremely reactive and adding extra to our diet via supplement form is probably not a good idea. Companies that I like for quality and price are Jarrow Formulas, Pure Encapsulations, Thorne, and Life Extension. Eat as well as you can within your personal circumstances, and do add a good multivitamin and multimineral supplement to your daily diet for some extra insurance against nutritional deficiencies.